In the interest of time, today, I am merely sharing my thoughts on the game as it unfolds. So if this doesn’t make any sense, remember the game was at 6am for me. Or if these notes give you the impression of diabolical genius, remember, the game was at 6am my time. Delightful incoherency? That’s right, 6am my time. You’re welcome. • The wind today in Cagliari is 15-25mph at any given time. The ball won’t even stay in place for corners. And with the Sant’Elia still only approved for 5,000 fans, it is as if they have partial stadium ban for the whole season. • Wow, so Big Game Bonera did not show up today. And with Amelia behind him, it was really only a matter of time. Even Rami almost scored an own goal in the 12th minute. Aaaaannnd there’s the goal… Sau assisted by Pinilla (and Amelia and Bonera) in the 28th. 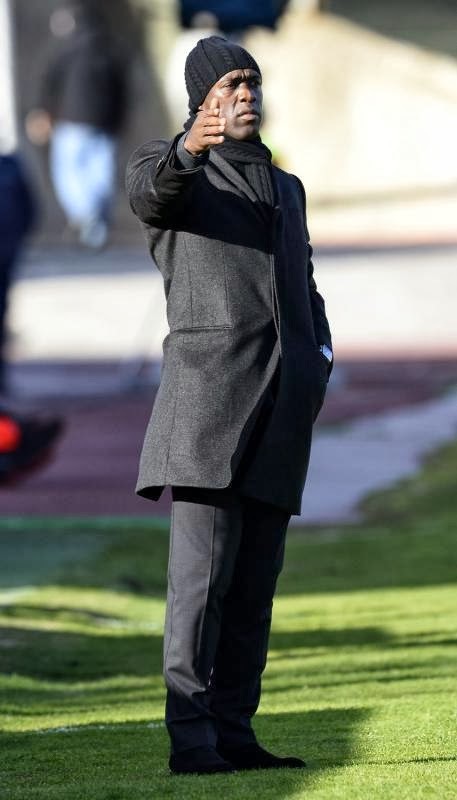 1-0 Cagliari. • I am loving our attack. 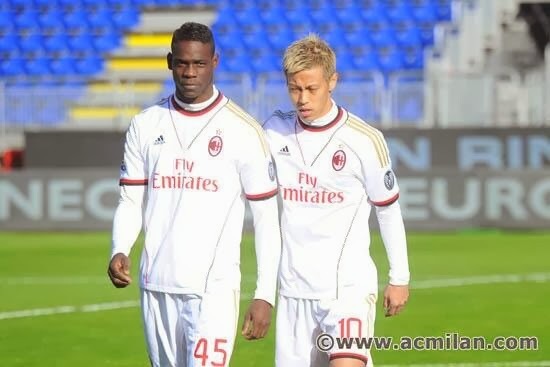 The understanding between Kaka, Honda, Robinho, and Balotelli is so exciting to watch. So many opportunities, and yet Avramov is having an amazing afternoon. De Sciglio on the right is brilliant, too. So that’s 5 of our starting 11 coming together. Despite having so much work left to do, it’s nice to see such great football again. Milan would take 21 shots, with 8 on target, much improved since the Allegri era. You can pick your friends, or you can win. • Why is Bonera still playing? Why is Amelia still on the pitch? Oh yeah, Seedorf. Hopefully, Seedorf will realize that his pride (and Milan’s success) is more important than his loyalty to his friends. Those two might have more impact on the game than any other players in our squad. • The abuse Balotelli takes is ridiculous. Buy him a tank. And some fireworks. And some darts. Whatever he wants. The man deserves to release some of this anger that these idiots are putting on him. Hope he shuts those racists up in the best way. • Despite earlier defensive lapses, due to the pressure and attack, Cagliari aren’t getting many opportunities…. Ooh. Pinilla shot just wide in the 73rd. Still, they were held to only 6 shots with the one goal, even though they managed 46% possession. • Cabrera with the blatant handball in the 85th, and yellow card. Balotelli free kick… Goal!!!! 1-1!! Way to silence the haters! Oh dear… and way to get a yellow card. Balotelli will miss the next match. • And now Honda with a corner in the 89th…. 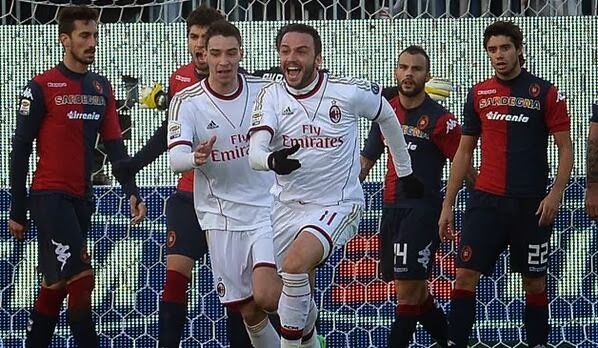 Pazzini header!! 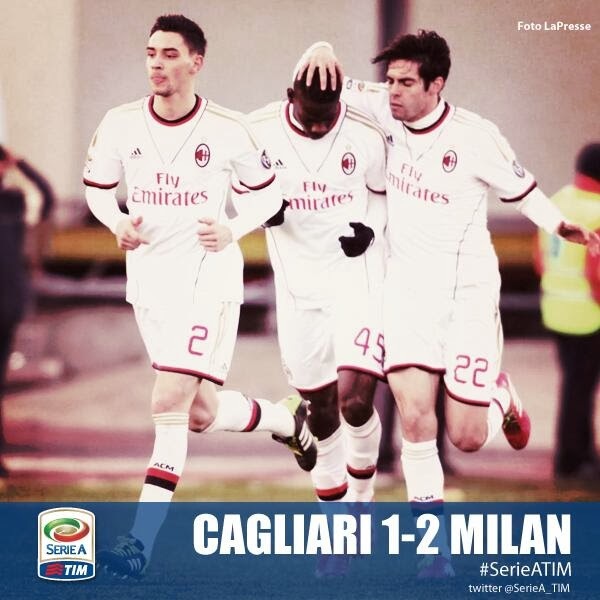 2-1 Milan!! And both goals scored from set pieces. Wow, amazing how far this team have come this year! Well there you have it, my quick thoughts as typed during the match. We are improving, and definitely more enjoyable to watch. A fantastic victory, only our second away win, and the first time we have two consecutive wins this season. Well done. Tune in Tuesday for the next Milan Obsession Podcast!